How Can I Become A ASCMA Member? ALL STYLE CONTACT MARTIAL ARTS WORLD FEDERATION. Discover the benefits of joining a truly multi-style Martial Arts Federation . 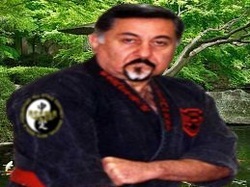 The World All Style Contact Martial Arts Federation is an Organization of professional martial artists. Our goal is to highlight the skills and diversity of the martial arts of today as a unified and coordinated collective. We are striving to improve the public's awareness and image of the martial arts as a whole and give it the credibility and exposure that it truly deserves. We are also helping school owners to develop sound business practices and strategies. This will provide a better overall experience for the students, instructors, and school owners. Schools of any style are welcome to apply for membership. You can represent your specific style or discipline by gettiing involved. Diversity will help make our organization grow. Welcome to the All Styles Contact Martial Arts Federation website ASCMA is the multi style martial arts association to help you to further your personal and professional development. For further details of the many martial arts systems and styles incorporated into ASCMA, please choose from the style name in the following list. (The styles are listed in alphabetical order, not in order of preference, or popularity). Chinese Martial Arts, Competition Styles, Grappling Styles, Japanese / Okinawan Styles, Korean Styles, Miscellaneous Styles, MMA, Modern / Eclectic Styles, Personal Styles, Self-Defence / Self-Protection, Weapons Styles. As a non-political association, we warmly welcome you and your students to our home. With half a century of experience, we have both the knowledge and professionalism to help you realise your Martial Arts aims and ambitions. If you are serious about the art that you practice, then feel free to learn more! Feel free to register for membership to our website. By registering you will have access to many more pages and information, including our forum. We look forward to hearing from you today!